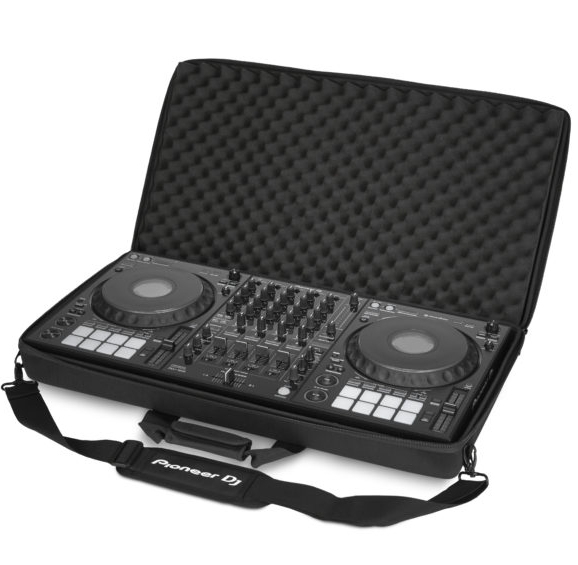 The DDJ-1000 will be the first of a new style of DJ controllers coming from Pioneer – a portable DJ controller that feels like a NXS2 setup, all buttons and knobs are arranged exactly as they are on the club standard set-up - except you can stick it in the one carry case when you’re done and take it home. The NXS2 feel mainly comes from the full-size jog wheels. 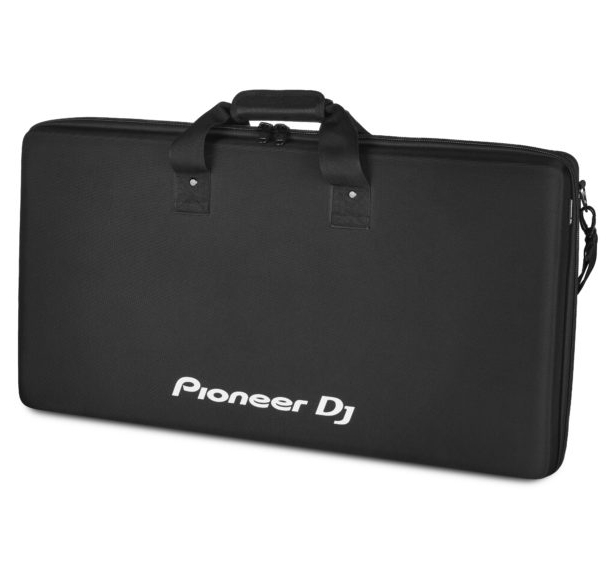 These aren’t the type that are touch-sensitive, but have tracking wheels underneath and a press-down surface - the kind that you’d find on the flagship CDJ-2000NXS2 models, and their preceding CDJ-2000nexus, CDJ-900nexus, CDJ-850 and CDJ-2000 models as well. The jog wheels also come with a ‘feeling adjust’ knob – so they can be as light or as heavy as you wish. 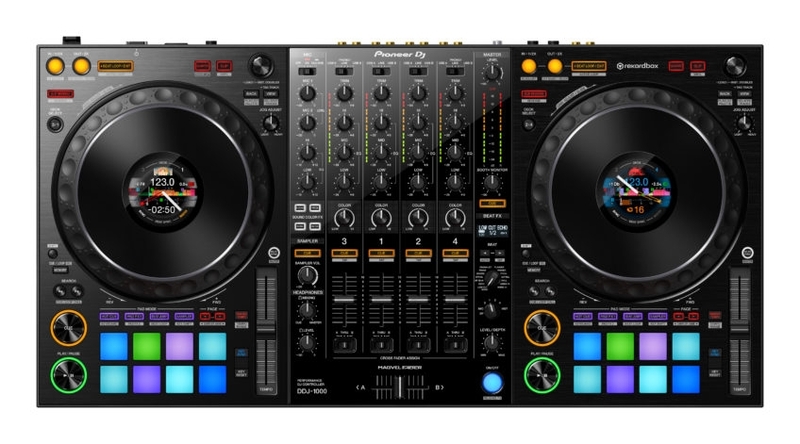 What’s more is in the centre of these jog wheels, instead of your normal CDJ-style display, you’ve got a pair of HD LCD screens which show you all the information you need to see about the tracks you’re currently playing on each deck (playback time, BPM, waveform, playback position and Hot Cue & Loop points, FX being used), and you can configure the display to show you only the info that you want to see. 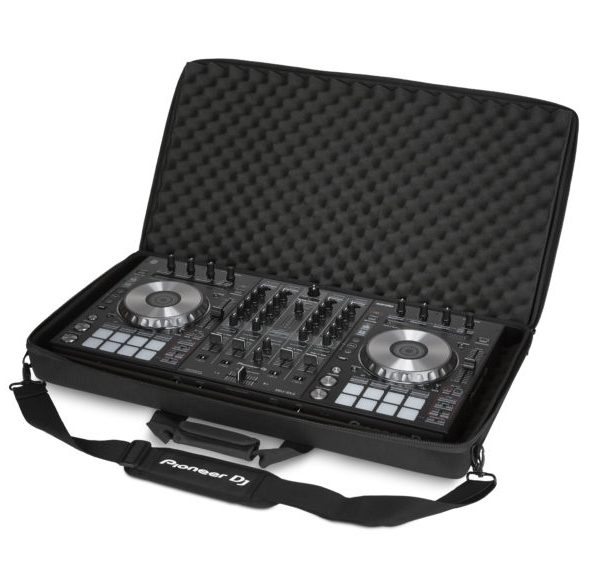 That also means there’s less time spent looking at your laptop, so the experience you’re getting with the DDJ-1000 is as close to the CDJ & mixer experience as you’re going to get while using a controller. 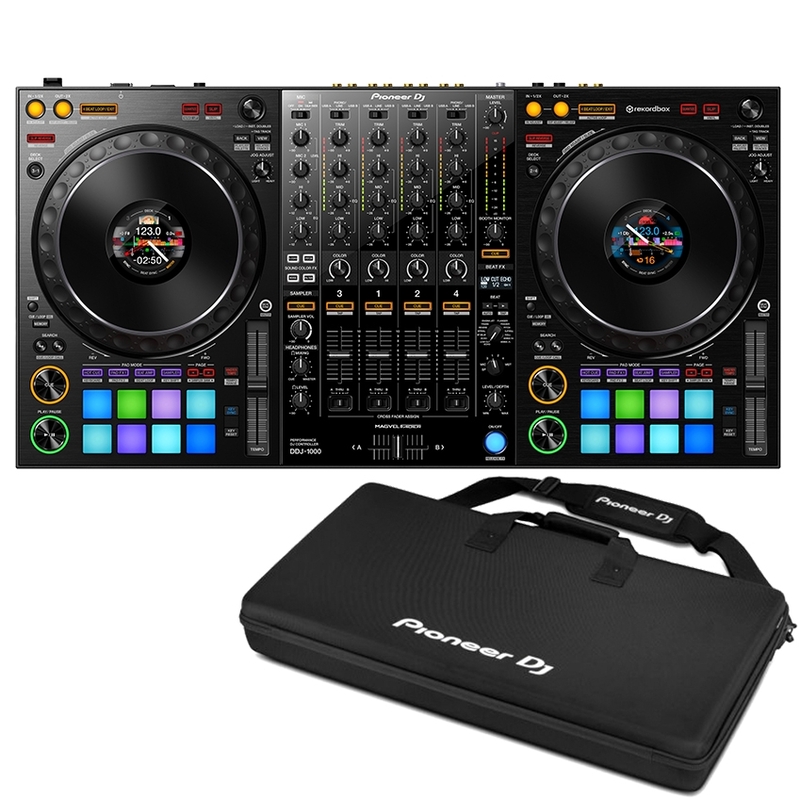 The DDJ-1000’s 4-channel mixer section benefits from an improved Magvel crossfader – designed to withstand 10 million movements, and it can enable complicated and intricate performances with a smooth feel. You can also enjoy all of the Sound Color FX you’d find on the DJM mixers. 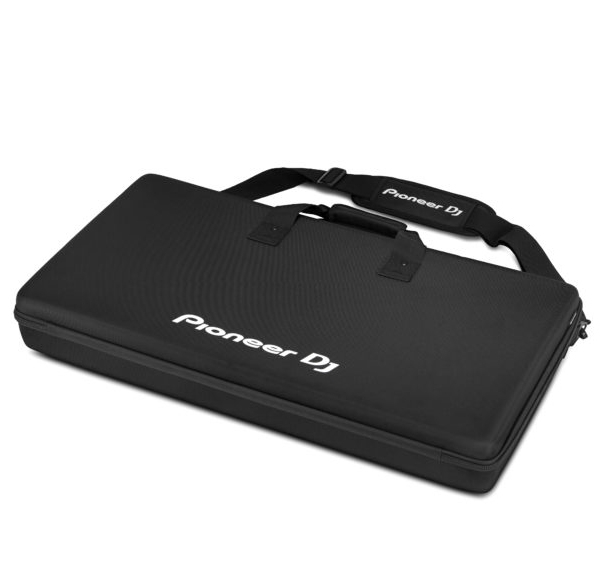 It can also be used on its own as a standalone mixer – and has enough inputs for four external decks – each with both phono and line options, so turntables are no problem. It even has DVS capability built in, so to start mixing and scratching on the turntables, all you need is the Rekordbox Control Vinyl and the DVS Plus Pack. 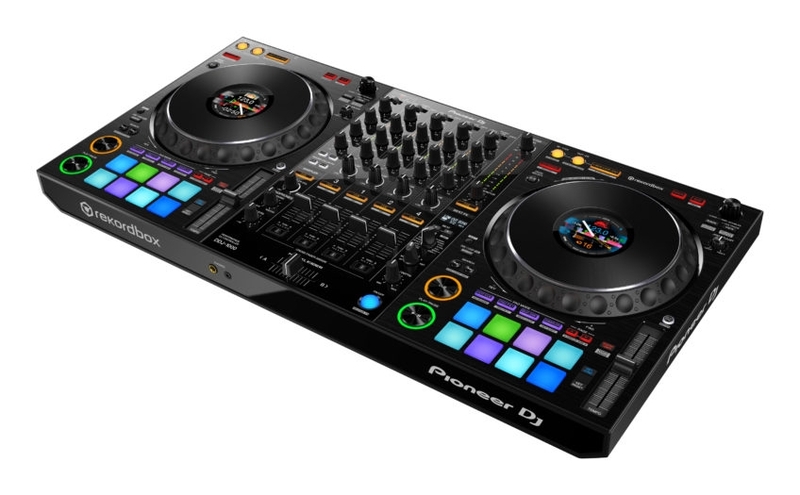 The mixer also has dual USB inputs make DJ changeovers and back-to-back DJ performances a breeze. The 16 multi-coloured performance pads take the authentic NXS2 experience to the next level however – as these are taken straight from the known-and-loved existing DDJ controller range, and allow you to step up your mixes with creative flair with the help of the Hot Cues, Pad FX and Keyboard Mode – allowing you to take a Hot Cue and play around with it in different semitones. The performance pads will also allow you to play around with all 10 popular Beat FX from the DJM mixer series, plus 4 new additions – Enigma Jet, Mobius Saw, Mobius Triangle and Low Cut Echo. 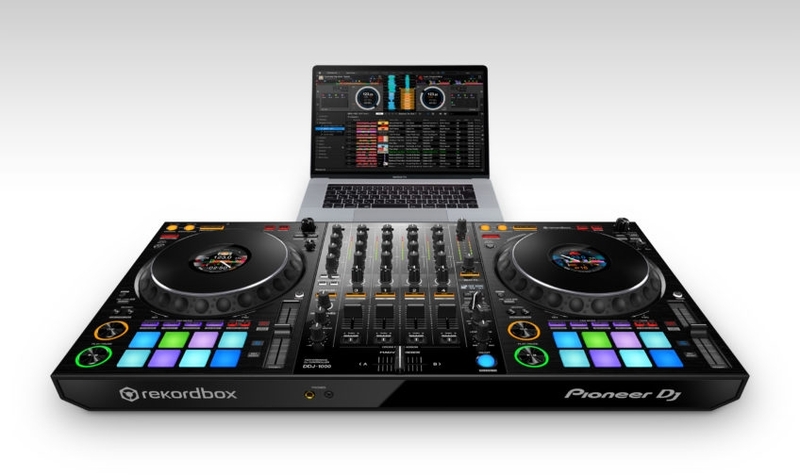 The Rekordbox DJ software also benefits from a major update – not only to accommodate compatibility with the DDJ-1000, but also with enhancements to the ‘Related Tracks’ feature – which looks at the track you’re playing and suggests a few tracks from your library which might work well to play next. The computer’s algorithm will work in a different way to your brain, and sometimes it might throw a surprising suggestion your way which you may never have even thought of before! You can also tailor the settings so that the feature works in the best way for you – search criteria has been improved so now Related Tracks can be suggested to you using comments, artists and file formats, and your custom criteria can be saved to use again and again. Rekordbox DJ’s software processing powers for scratch performances have been significantly improved to reduce latency on jog wheel and crossfader movements, so your scratch routines will feel more authentic & intuitive than ever. In the Plus Pack (which is provided as a free upgrade if you’ve already bought a previous version of the Plus Pack), there’s also the addition of the ‘Automix’ feature – it can act as a sort of ‘emergency’ solution should a DJ have to leave the booth for any reason, or say you’re at a laid-back house party and you want to cast your DJing duties aside for some time to have some drinks – it could end up being very handy. 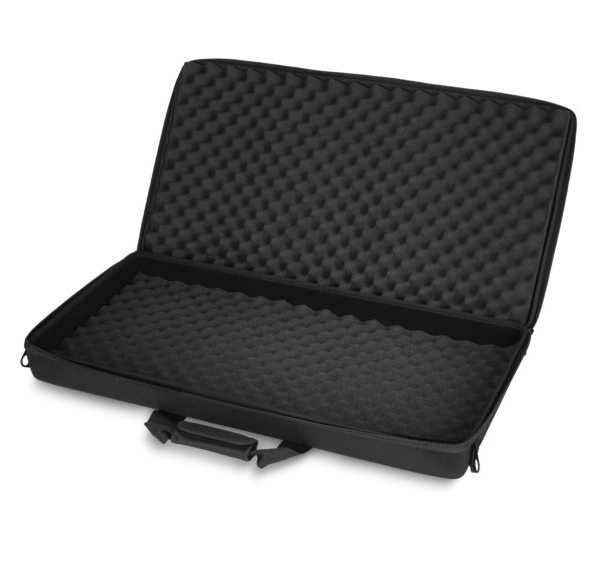 It could even be used in a professional situation as a sort of ‘background music’ solution for the time before your set starts – it will just sit and play through any selected playlist for you. Rekordbox DJ’s new KORETECH engine uses advanced algorithms to detect where different sections of a track begin and end, and it will use BPM, beat position and Key to make mixes sound natural. You can also interrupt Automix to choose a different order of tracks, scratch or apply FX.